Dario Argento’s original was such a honking, bombastic horror that you might wonder how a remake could possibly match it. But fear not, director Luca Guardagnino has packed plenty of booming sounds and bombast into his own take on 1977’s Suspiria. 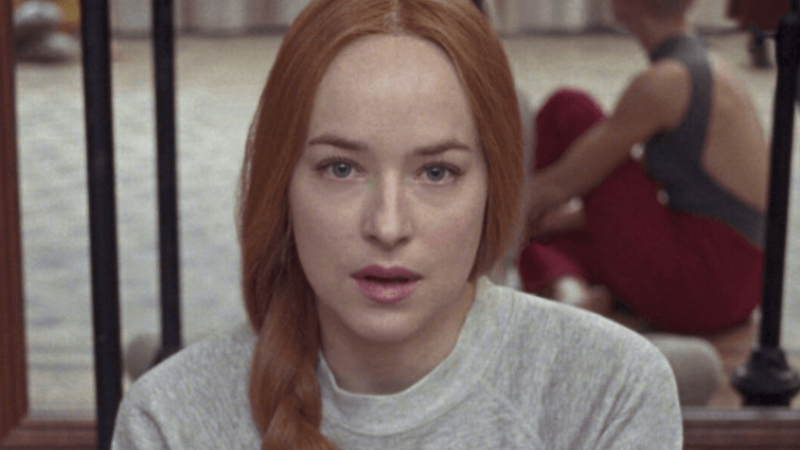 This much is apparent from the first trailer, which introduces Dakota Johnson (taking over from Jessica Parker) as another dancer who enters a nightmarish landscape of witchcraft and madness. Among the cast you’ll also find Tilda Swinton, Chloe Grace Moretz and Mia Goth, while Radiohead’s Thom Yorke provides the harrowing soundtrack. Horror remakes seldom get us leaping out of our office chairs, but Suspiria‘s pedigree – it’s from the maker of A Bigger Splash and Call Me By Your Name – and the stark imagery of the trailer has really won us over. See what you think for yourself below. Suspiria hits cinemas in autumn 2018.